A Lagos Nurse has been arrested for selling a newborn baby for N350,000 after lying to the new mom that she had a stillborn. The incident happened at Trinity Clinic, along Meiran Road, Ifako-Ijaiye, Lagos. Reports show that the baby girl was sold to a lady residing in Ajah area of Lagos. The nurse was said to have lied to the parents that she had already helped them bury the child, but trouble started as a member of the parents’ family insisted on seeing the corpse. 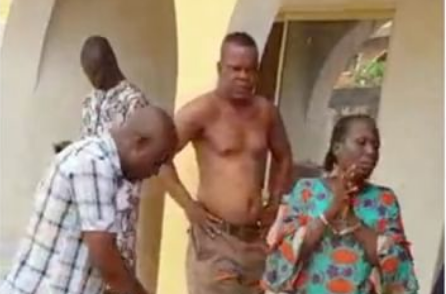 Policemen were later involved and during interrogation, the suspect confessed to selling the baby and took them to the buyer’s house, on Thursday, where the baby girl was retrieved. The culprits have since been detained at the Meiran police station.